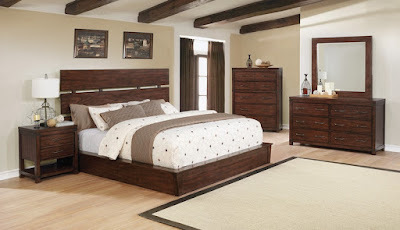 The Artesia Collection by Scott Living is crafted from Mahogany wood with walnut veneer. Rooted from beautiful craftsmanship and true to the live edge movement, this collection is nature’s stunning gift. The pieces feature full tree slab veneers with natural exotic variances, exposed dovetail, floating base and walnut bow tie inlays. Two platform bed options with or without storage, finger tip pull drawers, removable jewelry tray in top drawer of dresser, as well as dual USB ports in nightstands and felt line top drawers make this collection trully desirable.